Before coming to specific issue raised by the queries, let us have a look at one of the important judgement in Sagar Dutta Vs DCIT (ITAT Kolkata) whrein it is held that Penalty under section 271B was justified on Assessee who was Partner in M/s. Price Waterhouse which is a partnership firm for his Failure to get his accounts audited as his remuneration was exceeding the limit specified U/s. 44AB. This is an appeal filed by the assessee against the order of ld. CIT(A)-XXXVI, Kolkata confirming the levy of penalty u/s 271B of the IT Act imposed by the AO. 2. 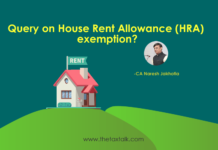 The brief facts of the case are that the AO observed from the return of income filed by the assesee that the assessee’s income included income from salary from Price Water House of which he was a partner. Since income by way of salary or remuneration from a firm was to be assessed under the head profit and gains from business from profession in terms of section 28(v) of the Income tax Act and the receipts from the profession of the assessee was Rs.74,16,000/- i.e. exceeding Rs.10 lakhs, the assesee was required to get his accounts audited within the specified time and furnish the audit report before the specified date under the provision of section 44AB of the Act. Since the assessee failed to do so the AO imposed levying of penalty of Rs.37,080/- by invoking the provision of section 271B of the Act. 2.1. Being aggrieved against this order of the AO the assessee filed appeal before the ld. CIT(A), who confirmed the order of the AO by following the order of the Kolkata ‘A’ Bench of the Tribunal in the case of Amal Ganguli vs DCIT, Kolkata for A.Yr. 2003-04 passed on 20.02.2009 in ITA NO.2135/Kol/2008. 3. The ld. AR of the assessee fairly conceded that the issue was covered against the assesee and in favour of the Revenue by the order of the Tribunal in the case of Amal Ganguli vs DCIT (supra). 4.1. We therefore do not find any good and justifiable reasons to interfere with the order of the ld. CIT(A). It is confirmed and the grounds of appeal of the assessee are dismissed. Every judgement have other side. Above judgement is rendered in the context of section 44AB. However, it may be noted that interest, remuneration from the firm is taxable as “Income from Business & Profession”. Expenses incurred by partner for earning such income from firm is also eligible for deduction in the hands of the partner. 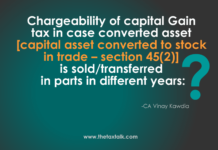 For example, if a partner has borrowed fund for investing in the capital of the firm then interest paid by partner for its capital induction is eligible for deduction in the hands of the partner. Similar is the case of car purchased by the partner for carrying out its activities of managing the business of the firm which is purchased & used by partner in individual capacity. The partner can claim depreciation, petrol etc as deduction against its firm’s income. Needless to say, if the amount of income from firm is less than the limit u/s 44AB & profit is less than the presumptive tax rate u/s 44AD & 44ADA then audit u/s 44AB would be mandatory. Considering the ratio from above judicial pronouncement & taking further cue from the above judgement and also similar judgement in other cases before other tribunals, partners in receipt of remuneration and interest from the firm can opt for presumptive taxation u/s 44ADA if the aggregate of remuneration and interest does not exceed Rs 50 Lakhs or u/s 44AD if aggregate of remuneration and interest does not exceed Rs 200 Lakhs. Sound interesting but the fact remains- Income Tax is an interesting piece of legislature.